Rabbi Gedaliah Anemer, a respected authority on Jewish law who founded the Yeshiva of Greater Washington in Silver Spring and played a large role in the establishment and growth of Silver Spring's Kemp Mill Orthodox community, died Thursday of a stroke. He was 78. An overflow crowd of an estimated 1,500 mourners attended his funeral, held at Young Israel Shomrei Emunah the same day as his death. Scores spilled into the streets to listen to eulogies broadcast over a loudspeaker. Hundreds more followed the event online. Members of the synagogue seem devastated by the rabbi's death. At his funeral, Rabbi Aaron Lopiansky, rosh yeshiva of the Yeshiva of Greater Washington, said in his eulogy, "The world has collapsed, and we are cast into darkness." Anemer was the "cornerstone" of the community, which has lost its "friend, father, leader," congregant Ben Bazian, 52, said. "The community, everyone, is walking around in a daze," said Marilyn Fine, 58. "We are feeling like a ship adrift." The wider community also will miss him, noted Rabbi Jack Bieler of Kemp Mill Synagogue. Anemer was central to Jewish life in the community and his death will leave a "vacuum difficult to fill," he said. 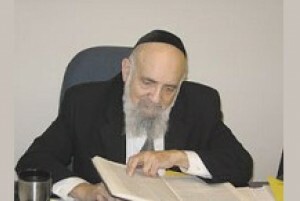 In an e-mail to his congregants marking the rabbi's death, Bieler credited Anemer's "foresight, perseverance and leadership" for the continued health of YISE, the Yeshiva and many other institutions of the Washington Jewish community ‹ the Vaad, the Chevra Kadisha, the Mikvah Emunah Society of Greater Washington and the Silver Spring Eruv Association. Anemer also headed the Rabbinical Council of Greater Washington's beit din, religious court. One measure of his rabbinical stature, according to Rabbi Binyamin Sanders ‹ who worked with Anemer at the Vaad Harabanim-Rabbinical Council of Greater Washington (the community kosher supervising body) and at YGW, which Anemer led since establishing it in 1964 ‹ could be seen a few years ago when Israel's Chief Rabbinate called into question Orthodox conversions performed outside of the Jewish state. Washington's Orthodox community was on a short list whose conversions would be recognized by Israeli religious authorities; Sanders gives Anemer much of the credit for that accomplishment. But it may be his role in the establishment of the estimated 5,000-person-strong Orthodox community in Kemp Mill, home to the Silver Spring Jewish Center and the Yeshiva in addition to YISE and KMS, for which Anemer will be most remembered. Born in Akron, Ohio, in 1932, he studied as a boy at Tiferes Yerushalayim in New York, and later received s'micha, ordination, from Telshe Yeshiva in 1952. Before moving to the Washington area, the rabbi was rosh hayeshiva, head of the yeshiva, of the Boston Rabbinical Seminary, a joint venture of the Lakewood and Telshe yeshivot. In 1957, he became spiritual leader at what was then Shomrai Emunah, eventually leading the congregation from Hyattsville to the Riggs Park neighborhood in Washington. In 1961, with Jews moving to the suburbs, Anemer decided to buy a house in Silver Spring. That purchase not only marked the start of YISE as the first Orthodox synagogue in Montgomery County, but also the beginnings of the foundation of the Kemp Mill Orthodox community. He began holding a minyan in his basement, while continuing to lead services for the other congregants in the District. To that end, Abe Sperling, 88, who has been a member of the shul for more than 50 years, remembers the rabbi often walking the seven miles between his home and the main synagogue on Shabbat. In 1963, YISE moved into a new building in Silver Spring and, under Anemer's spiritual leadership, grew from 30 families to some 500 today. To those who knew him well ‹ his students, congregants at Young Israel Shomrai Emunah in Silver Spring, where he served for more than 50 years, and his colleagues ‹Anemer was not only an authority on Halacha, Jewish law, and creator of communities and institutions. He was also a kind person, they emphasized, who cared very deeply about the Jewish people in general and his community in particular. "He had high standards, but was very approachable and remarkably refined and gentle in dealings with people from all walks of life," Sanders said. "He was a rabbi's rabbi." YISE congregant Ruth Konick, 62, remembers him as "very dignified," but also a "gentle, sweet person." When her father-in-law was ill and she came to him for counsel, recalled Marilyn Fine, 58, "he looked for ways to address our needs" within the parameters of Halacha and "with tremendous sensitivity." To Bazian, Anemer was one of the best Torah scholars with whom he had studied, and was "very energetic in seeing that the community led the Torah life." But in addition, Anemer derived great joy in seeing children in the synagogue and learning. "They said at the funeral that he was not only the father of his children, but of the children in the community," Bazian said. Anemer's close connection with his community can be seen in the story of Rabbi Ari Israel, 40, Hillel director at the University of Maryland. "He named me as a baby at my bris, spoke at my bar mitzvah, was my rebbi/teacher in high school for two years, married Suzy and me, redeemed my firstborn son, Daniel, as a kohen and recently named my youngest son, Shmuel, at his bris this past November," Israel said. Sarah Maslow, 60, knew Anemer since she was 5; she was the first student he recruited for the girls division of the Yeshiva High School when it was founded in 1964. He was "warm and compassionate with an amazing sense of humor," she said. "He loved to laugh." The school has since grown to 275 students, with both boys and girls divisions; in addition, YGW runs a seminary and a kollel (a high-level, adult yeshiva). Many congregants cited the rabbi's imposing physical stature (he was 6 feet) and his warm personality. Ronnie Baras said Anemer's height, combined with his powerful voice, enhanced the aura of holiness that people saw in him. "When he spoke, he often started out softly, but then his passion would emerge and his voice would be booming with powerful emotion," he said in an e-mail. He could have been an actor, Baras believes, but his total focus was on learning and teaching Torah. "He appeared very much in command on the bima," noted YISE president David Mazel, "but in person was kind, warm and personal." Sanders noted that Anemer had practiced public speaking. "Many people remarked about his voice, that when you heard him, he was the voice of God," the rabbi said. "It was a great privilege to know him, and he will continue to inspire a lot of people," Bieler said. Anemer maintained a busy schedule until his death. "A person who retires ‹ what does he do" other than study? Anemer said in a 2007 WJW interview marking his 50 years with YISE. "I'm not saying no" to retirement, he said, but "as long as God gives me the strength to be able to continue, I'll do it." Anemer's burial in Israel ‹ at the Har Menuchot cemetery in Jerusalem ‹ drew some 100 mourners on Friday to say goodbye "to this Torah giant," Rabbi Michael Bramson, who now lives in Beit Shemesh, Israel, wrote in an e-mail. "People thought that we were crazy" for attending a burial that began on Friday evening at 6 when Shabbat began at 6:52, said Bramson, a former teacher at the Melvin J. Berman Hebrew Academy in Rockville. But Bramson quoted Rabbi Dov Lipman, a former member of YISE also living in Beit Shemesh, as saying: " 'I have to go.' We all had to go. A man who dedicated his whole life to spreading Torah and yiddishkeit to Silver Spring deserved our time (even though it turned out to be only 15 minutes as we had to get back)." Anemer is survived by his wife, Yocheved; two sons, Zev and Yisroel, both rabbis living in Brooklyn, N.Y.; two daughters, Ottie Kahana of Baltimore and Chaya Weber of Brooklyn; his sister, Mashe Katz of Baltimore; and his grandchildren and great-grandchildren.